Today we will continue with my interview with children's writer, Margo Sorenson. 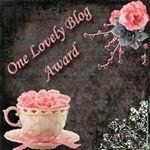 If you've just come to my blog for the first time, I hope you will read Part 1 of this interview which was Tuesday's post. 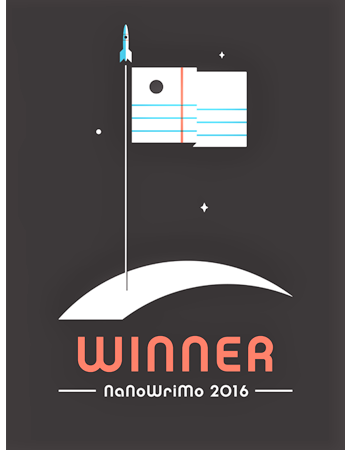 You’ve won several awards for your writing. Is there one that means more to you than the others? Having FUNNY MAN named a finalist for the Minnesota Book Award in Young Adult Fiction was pretty special, but it also meant a lot to be nominated for the Quick Picks by YALSA, also, because that validated my writing for reluctant readers. You’ve also written two books about a mouse and his adventures in a cathedral for Liturgical Press. This is not a “religious” book. How did it come about? 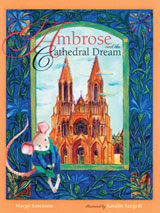 Many, many years ago, I majored in medieval history, and my favorite professor was so inspiring that I had an idea about a little mouse who wanted to help build a cathedral, AMBROSE AND THE CATHEDRAL DREAM. The building of a cathedral fascinated me, and I thought children could relate to a small mouse who wanted to be part of a grand scheme. 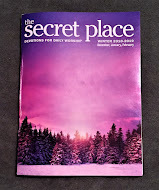 I wrote the first draft twenty years ago, and when I read that Liturgical Press was going to start publishing children’s fiction (which they no longer do), I thought they’d be a good match for a book about a cathedral, since they are headquartered at St. John’s Abbey, in Collegeville, MN. Did you do any specific research in writing that book? When the Liturgical Press children’s editor, the wonderful Father Tony Gorman, a Benedictine monk, decided to acquire AMBROSE AND THE CATHEDRAL DREAM, I asked my former professor, with whom I was still corresponding, (now a professor at the university our daughters were attending) to read the manuscript and correct any historical inaccuracies, which he did with delight. Then, Fr. Gorman at Liturgical Press wanted another mouse book, so I wrote AMBROSE AND THE PRINCESS, and my professor read that one, as well. These books called for a lot of research; I wanted everything to be a completely accurate representation of medieval life in 1272. What was special to me was that my professor was tickled to have the books dedicated to him (along with my family and my editor, of course!) – “Possibly the only medieval history professor to have a children’s book dedication,” he said – and that he had the finished books in his hands before he passed away. Any differences in writing for this publisher and Perfection Learning? The main difference in writing the Ambrose books (and I have ideas for more!) and writing for Perfection Learning is that the Ambrose manuscripts are written at grade level and not for reluctant readers. Also, because they’re picture books, the illustrator, the wonderful and talented Katalin Szegedi, was able to make the text come alive and take it to the next level. My editor was absolutely excellent; he really believed in Ambrose – and still does! 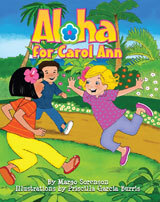 Your most recent book is called, Aloha for Carol Ann and is set in Hawaii. This book is published by Marimba Books. How did you get started with them? I read about Marimba’s founding as a multicultural publisher and thought they sounded like a good fit for this manuscript, the first draft of which I’d written in 1989. Forty revisions and many years later, I subbed to Marimba, this new publishing company, and they accepted, much to my joy. They are a wonderful company to work with, and they found a fabulous illustrator, the nationally-recognized and talented Priscilla Garcia Burris, to bring Carol Ann to life, right down to the mango shortbread and spam musubi! Do you have other books in the works with them? Right now, there are no plans to do something else with them; they’re not accepting submissions from anyone at the moment, but I’d love to work with them again. They’re very supportive, helpful, professional, and enthusiastic. My next writing project, ISLAND DANGER, a middle grade novel set in Hawaii, is actually being released in June 2012 as an e-book by Canadian e-publisher Muse Publishing. I’m excited to see how this will work! I also have a number of picture book manuscripts and middle grade novels that I’m submitting to various publishers and have several out by request with editors. There’s always something cooking! What is the best guidance an editor or agent has ever given you? The best guidance someone has ever given me is from my critique partner, children’s author Bonnie Graves. She always says, “Spare! Spare!” which helps me a lot, because I tend to overwrite. What do you know now about publishing that you wished you had known earlier in your writing career? I wish I’d been more patient and taken more time with revisions. The first commandment for writers is “Thou Shalt Not Fall in Love with Thine Own Words,” and that is so true! What advice would you give someone who wants to write children’s books? I guess it would be the above – aspiring writers think they’ve written golden words, just as I always think *I* do, but put that manuscript away in a drawer for a while and then take it out and look at it with a clear eye – and have a good critique partner who understands your style and your aims. Be willing and ready to revise! That's all for today's interview. If you would like to learn more about Margo's writing and her books just click here. It was my pleasure. I love the books you do and the illustrations make the books pop. Thanks for stopping by. Just hopped over to your blog and left a note. Hey, I love your blog, you should check out mine. I'm just getting started and I would greatly appreciate the help in spreading the word, I'll be spreading the word on yours, I love how you write your reviews and the varieties you have in your books. I also have another blog that is slightly older and I post, now mostly original poetry or how my day was, or scenes/chapters from play's/books of my original work. I would appreciate your feedback on whether you my poetry/writing is any good.